Cancellation 7 or more days prior to departure: You will receive a fullrefund. Cancellation 3 days to 6 days prior to departure: You will receive a 50%refund. Cancellation less than 2 days (48 hours) prior to departure: You willbe charged 100% of the amount and will not receive any refund. 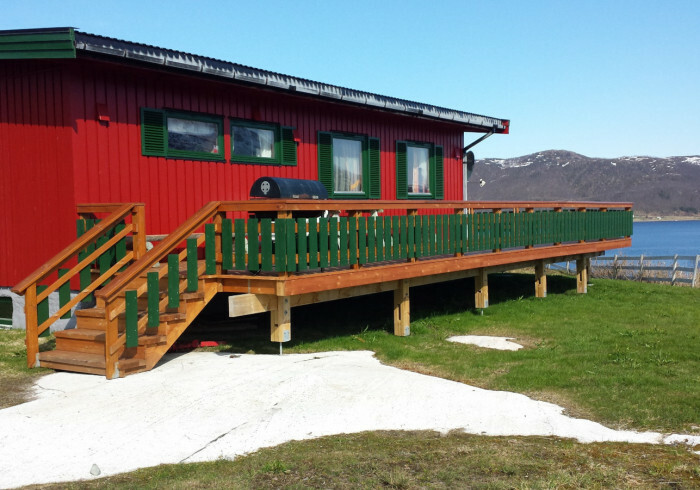 Legendary Lodge Senja is a large cottage in a small village on Senja. It is situated on top of a hill in the village with good views over the sea and mountains. It was built in 1982 and refurbished and adapted for rental in 2014 and again in 2017. With traditional Norwegian culture that characterizes the place. Located in Stønnesbotn, innermost in a fjord on the north-Senja. From the site you can reach all the Senja has to offer within a few hours’ drive. When you stay at our lodge, we really want you to feel far away from the stress and hassle of everyday life. That’s why we’ve drawn the nature itself into the cabin and created harmony, all to make you feel removed from your everyday life and at the same time closer to yourself.